One repair a garage door repair company is called for frequently is the attached garage after a crash. 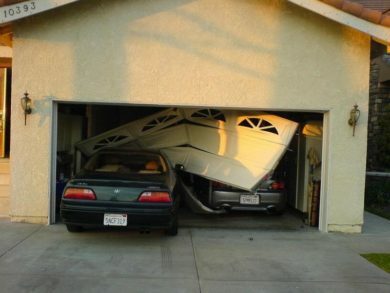 Today we’re going to talk about what happens if a homeowner backs his vehicle into the garage door. Garage door repair companies get this kind of call on a regular basis. A broken attached garage door can create a security issue which needs to be dealt with promptly. The caveat is that if the garage door is stuck in the open position, the homeowner, while attempting to close it, may use too much force. It doesn’t take much at all to cause even more damage to the belt, chain, motor or opener, none of which are cheap or easy parts to replace. If you or your locksmith has installed a deadbolt on the attached-garage entry door, the contents of the home are secure until the garage door can be repaired. However, if the homeowner has power tools, sporting goods or bicycles, landscape equipment, and other items of value in the garage, the garage is security-compromised, and the door should be repaired immediately by a professional. Additionally, the attached garage door may be partially hidden from view of the neighbors by a partially open-but-broken garage door, which makes it easier for opportunistic thieves to attempt a home break-in within the confines of the partially obstructed garage. Many homeowners procure vehicle insurance from the same insurance carrier who holds their homeowner’s policy. Technically, damage to the car should be addressed by the auto insurance. Damage to the garage door should be handled by the homeowner’s insurance. However, the savvy homeowner may choose to pay the repairs from his own purse rather than involving his insurance company. This choice is in light of not only the deductible but also the potential for an increased premium rate hike. Unfortunately, both the security question and the repair questions come at a time when the homeowner might be slightly emotional as a result of the mishap. But the importance of having a secure garage door can’t be overemphasized. The most natural solution is to get a couple of quotes before deciding on whether or not to involve the insurance company. If you’ve been involved in a car/garage door mishap, and the door attached to the garage doesn’t have a deadbolt on it, now is the time to rectify that security weakness. Some homeowners also opt to have Smart security in the garage, but at the very least, there should be a peephole installed in the attached door. 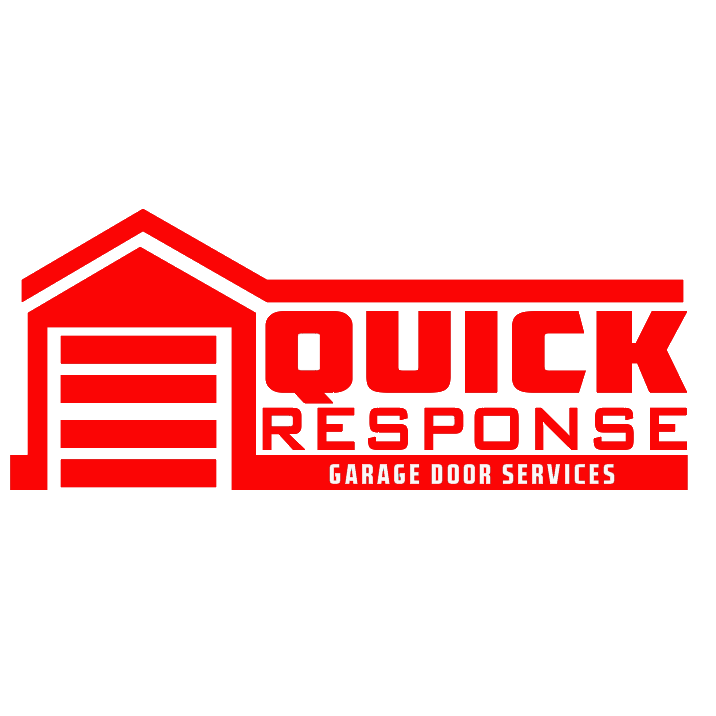 Call Quick Response Garage Door Service: we are your Arizona garage door service specialists.